Brianna Lynn Varnam received her angel wings October 4, 2018, she was 18 years old. Brianna was born December 18, 1999, in Stephenville, Texas. She was a beautiful, talented girl. She loved music and art. She was fascinated with Korean culture and wanted to go there someday. Brianna graduated from Safford High School with honors and was attending classes at Eastern Arizona College. Brianna is survived by: her parents, Jim and Cheryl Granatowski; her brothers, Christian Varnam, Jakob Varnam and Jackson Granatowski; her father, Steve Varnam; her grandmother, Wilma Noland; her grandparents, Dave and Ann Varnam; and many aunts, uncles and cousins. We know you were met at Heaven’s Gate by: grandma Shirley, grandma Ann, uncle Tommy and aunt Pamela. 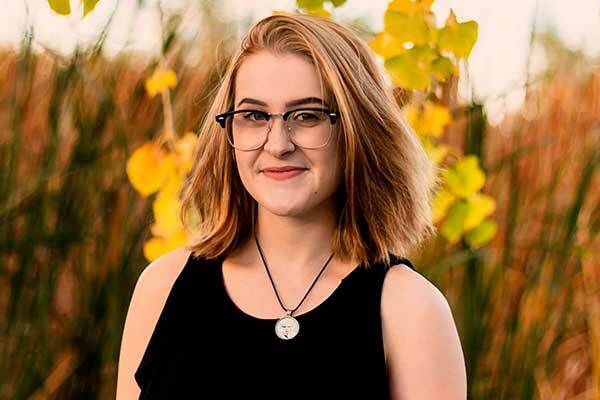 Funeral services for Brianna will be conducted Friday, October 19, 2018, at 1:00 p.m., at the Eastern Arizona College Lee Little Theater. Concluding services will follow in the Safford Cemetery. Family will receive friends Thursday evening, October 18, 2018, from 6:00 p.m. until 8:00 p.m., at the Vining Funeral Home.